Brief notes are summaries of briefings and conversations I’ve had, with only light “analysis.” This one covers the renaming and portfolio update of RedMonk client Sonoa/Apigee. Increasingly, companies are understanding that their web presence is a vital store front, and as an extension, the APIs they provide to interact with their overall platform can extend the ways in which customers can pay them. Take Twitter as an example: with the comprehensive APIs they provide, there’s a miniature ecosystem of applications and apps built around Twitter, creating value for those companies and keeping Twitter’s users more hooked on Twitter. Building a platform on the web is like building out your various channel and reseller programs: it’s just more ways for your customer to use your offering, hopefully leading to more revenue. In that context, the once named Sonoa is consolidating it’s offerings under one name, Apigee, and simplifying the portfolio into three tiers, following a freemium model targeting developers as the carriers for their Apigee’s viral marketing. 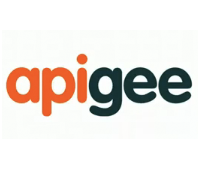 Apigee as long provided what I like to think of as the Feedburner for APIs – a service/product that wraps around your APIs and provides all the heavy duty stuff that you don’t want to borrow with: scaling, performance, analytics, security, tracking usage, and even more. In the history of things, this would have been a long-shot in the mashup-crazed days of a couple years ago (remember “mashups”? ), but now with cloud and mobile driving a return to heavy API usage (really, a sort of “son-of client/server” model of development in the case of the later) the usefulness of an API abstraction layer is obvious. As an example, see the hopeful strategy driving Alcatel-Lucent’s buy of ProgrammableWeb from awhile ago. The success Apigee tells me they’ve had in use makes it worth thinking about what “cloud middleware” and performance-boosting “appliances” are: those infrastructure ad-ons like Citrix NetScaler, Barracuda, and others that act like Hamburger Helper for n-tiered architectures. Having had success with their free development tools under the Apigee brand, they’re keeping the tools free and grouping them as the first tier in their offering. The tools do seem useful, the API browser and visualizer in particular.